Figure 8. Aime’ maximum temperature recording thermometer. 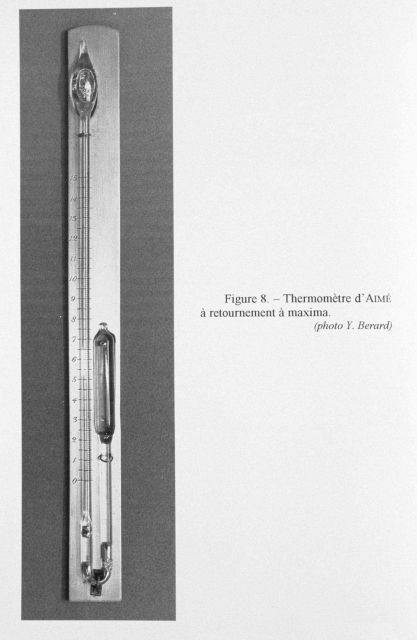 He described this instrument in 1845 and it operated in a similar manner to the minimum thermomete r.